Jesus will soon return and renew all things (Matt. 19:28; Acts 3:21). We want to help everyone prepare for that day. We are a Restoration and Renewal Movement. We believe that renewal in the Bible and history follows a discernible path. We are a multi-ethnic, multi-national network based upon seven convictions. Renewal is the work of God’s Holy Spirit grounded in the awareness of God’s holiness and our sin. A high view of scripture provides the foundation for godly conviction. The Gospel of Jesus the Messiah is the basis of our justification, spiritual freedom, and new life in his kingdom. Faith is the human response to Jesus and his Gospel – faith is expressed in repentance, confession, baptism, and faithfulness to a life of discipleship. Life in the kingdom means transformation into the image of Jesus the Messiah, by the Holy Spirit, expressed by increasing love for God and for other. Disciple Making is the core mission of the church, the community of God’s people – it is grounded in and expressed by sacrificial love for others, both in the church and in the world. Godly leaders, led by the Holy Spirit through prayer, fasting, and discernment, help disciples follow God, experience renewal, make disciples, resist culture, and plant new churches. You will find this model behind all the things we teach and advocate. Please prayerfully read the emails you receive from us. Join with us where you can. Help us create a faithful community of God’s people around the world based upon these principles. P.S. 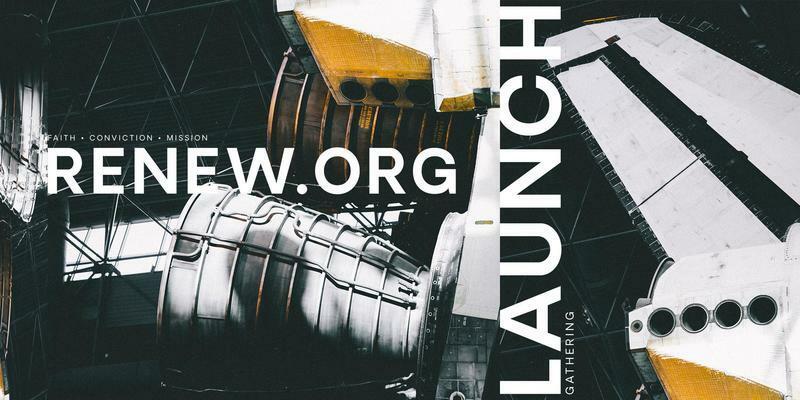 Please consider joining our church leaders launch event in Nashville on October 24th where you will learn more about this model - go to renew.org.